Dine & Donate On May 16th! – Tender Hearts Inc.
Dine & Donate On May 16th! 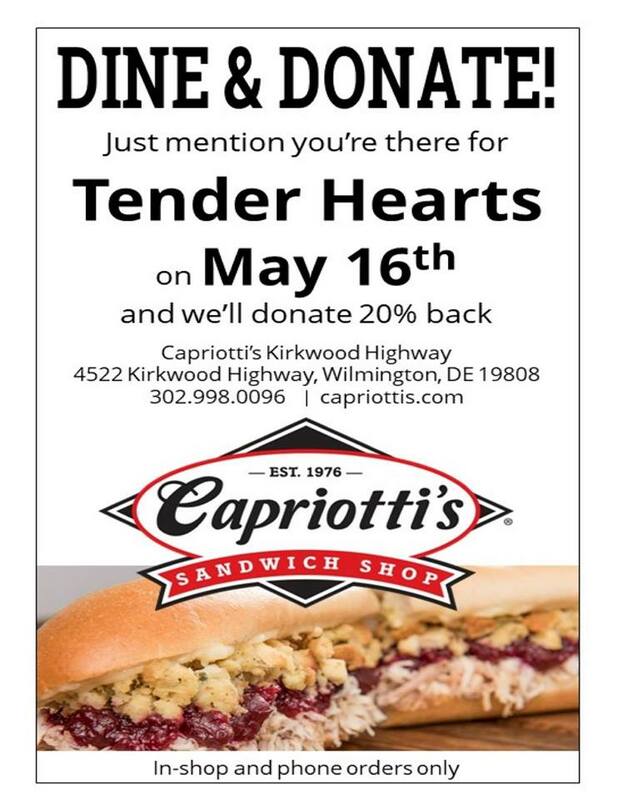 Just mention you are there for Tender Hearts when you go to Capriotti’s and we’ll donate 20% back! http://www.tenderheartsde.org/wp-content/uploads/2018/05/31841791_1676313862437745_6304988363912904704_n.jpg 960 742 jolamptey http://www.tenderheartsde.org/wp-content/uploads/2015/12/Tender-Hearts-LOGO.png jolamptey2018-05-09 20:33:432018-05-31 17:11:51Dine & Donate On May 16th!